The Prime Minister of India, Indira Gandhi was accused of election fraud in 1975. Defeated Raj Narayan filed a case against her in High Court, which found her guilty of misusing the government machinery for her election campaign in 1971. The court declared her election null and void and banned her from contesting in any elections for six years. In the Supreme Court Justice Iyer upheld the High Court judgement and further ordered all her privileges debarred. Indira Gandhi was more than annoyed and declared National Emergency. Before declaring emergency in India you need to have actually a cabinet decision. But in this case cabinet ministers were only informed about the declaration and next day it was implemented. As soon as the emergency was declared all the ministers who were against Congress were put behind the bars. History books and newspapers doesn’t know, or want to tell the other part of the story related to the National emergency. Russian KGB was closely involved in Indian politics and supported Indira Gandhi already in 1971. They had mutual paranoid fear of PROUT, which made Mrs Gandhi to imprison the profounder of PROUT, P. R. Sarkar. During the emergency in 1975 Indira Gandhi used the opportunity to ban altogether 30 organizations – half of them related to PROUT and P. R. Sarkar. Thousands of Sarkar’s missionaries were taken to prison as well. During those times Gandhi personally wrote a letter to one Proutist in Sweden, which shows how afraid of PROUT she was; “I have acted not only to save democracy in India, but very existence as a free nation”. So why was Mrs Gandhi so afraid of PROUT? WHO WAS SARKAR AND WHAT WAS HIS MISSION to be afraid about? P.R. Sarkar was born in 1921 and got his nick name Arun according his birth time on sunrise. Four years old Arun recited already a long Shiva mantra, which made many professionals astonished. 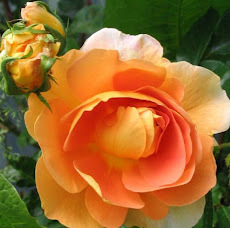 His relatives and followers called him with different names when he became older, and eventually their Guru at a young age, but I am using here only his official name P. R. Sarkar in order to avoid confusion. He started his spiritual mission in 1955 and founded PROUT, The Progressive Utilization Theory in 1959. Russian and Indian governments became concerned, because PROUT opposes Communist suppression, although as well it goes against Capitalistic exploitation. And practically Sarkar and his missionaries were not only talking, but also acting against corruption, caste system and exploitation. They were well known with their efficient education methods and successful relief work in India too. Besides Sarkar once stated; “The KGB has an unfounded fear that our emergence would mean growing influence of the CIA in India.” Russian Pravda and TASS were spreading regularly propaganda against PROUT and Sarkar. Mrs Gandhi and Indian intelligence CBI – obviously with the support by the Russian KGB – imprisoned Sarkar with false charges in 1971. In 1973 the assassins of CBI poisoned Sarkar in jail, which deteriorated his health – he lost almost his sight and hearing. He could have very well escaped from jail at any moment, as he was a master or all kind of psychic powers, but obviously he allowed all of this to happen as a part of his earthly mission in the human body. He stated once; “I want an honourable release” and “my mission is more important than my life”. He then started fasting, which lasted five years, with only taking two cups of Horlicks or butter milk daily – brought by his monks in order to avoid further poisoning attempts. Another type of murder attempts didn’t succeed any better. Two assassins came twice to Sarkar’s cell in order to kill him with a knife. First time they found him floating on the ceiling of his cell and second time the room was empty. They heard only a voice asking: ‘who is there?’ They got so frightened that they refused to make any further attempts. Acarya Savitananda who got Swedish passport with the help of Olof Palme, Prime Minister of Sweden, got granted an asylum for Sarkar in Sweden. According Ac Savitananda the assassination of Palme was related to Sarkar’s case. Swedish officers took Sarkar’s case into United Nations Human Rights Floor on 1976. Sarkar was always very humble and didn’t participate on any TV or newspaper interviews - except on India Today, titled “The Mystery Man”. His devotees had to find him with their hearts and intuition. And they found him even during those 7 years time of imprisonment; his mission spread all over the world, into 95 countries. The jailers didn’t understand that Sarkar could guide his workers around the world telepathically. They thought that his ring in his finger was a secret transmitter to communicate outside of the jail, so they stole his ring eventually. Once an inspector team with higher officials came to tour in the jail. The jailers had warned and prepared the prisoners to behave nicely, that they would avoid getting beaten up, or their conditions been made worse in that already hot, dirty and overpopulated prison. The prisoners were quietly staring the VIP staff, saluting them and some were even respectfully touching their feet. When the team entered Sarkar’s cell, there was deathly silence waiting for them. Sarkar started then rebuking the Inspector General about the inhuman conditions in the jail. The Inspector felt humiliated in front of his staff. Many of his missionaries have stated that in reality it was Sarkar who controlled the prison and not the officials or inspectors. Some jailers, doctors, lawyers and prisoners became followers of Sarkar. His monks were also teaching meditation and yoga practises in prisons all over India. The wife of the jail superintendent had a dream that there was a great sadhu in the jail, whose body emanated bright light. His husband realized she had dreamed about Sarkar. He then did everything to help Sarkar to have more justice and comforts in his cell. Soon this superintendent was transferred, as was anyone else who tried to help Sarkar too much. Three parliament members came to visit Sarkar and arranged a press conference demanding his release. A Muslim leader also visited him in the prison. He was greatly sympathetic and organized rallies in order to get Sarkar released. On one hot evening some prisoners had been locked behind bars without water. They were calling the monks of Sarkar in the neighbouring cells, to bring water. The monks didn’t hear due to being in deep meditation, but Sarkar heard them. He went to ask what was the problem and after hearing their miserable situation, he took water from his own cell and gave it to them without caring about his own needs. As he was considered by prisoners a highly respected Guru, they didn’t want him to lower himself and do service for them. However Sarkar respected any human being in need equally and thus not only brought the water for them, but even distributed it in a glass for each of them. His monks understood after hearing from the fellow prisoners that Sarkar had respected the monk’s meditation and didn’t want to disturb them, and on the other hand he never mentioned himself of having helped those prisoners. 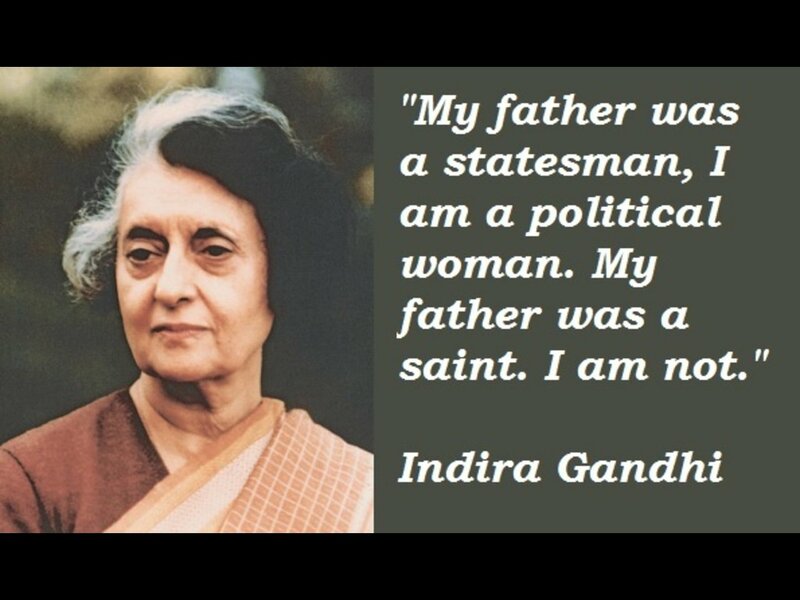 During the emergency time there were also many opposition politicians that Indira Gandhi’s ministry had imprisoned. They came to know Sarkar and his monks, and were surprised to see how disciplined and service minded they were. When those politicians were released, they helped Sarkar’s mission to get back on its feet, including projects that had been taken over by government during the emergency time. In the court at some point the senior advocate requested even death sentence to Sarkar, although at same time praising him as a great man. He was thinking that this way Sarkar will be remembered similarly than Jesus Christ, which would help to spread his mission all over the world. The judge, although wanting to give death sentence realized, he had no other option than sentence Sarkar to life imprisonment. The attendants of the court were keenly following this unbelievable drama unfolding. Anyhow later on Sarkar was released without any charges. When he came out from jail, tens of thousands followers and common people were receiving him. He spoke to the crowds and stated, that truth is always victorious eventually. Will PROUT ever be established in this world, as he believed it will? His faith in PROUT was so strong, that he once demonstrated it to a doubtful visitor without any words by throwing a glass out of window. The visitor heard some odd sound, but couldn’t understand what happened. Only when he went outside – and saw the unbroken glass on the broken rock – he then realized, PROUT is more strong than any opposing forces, according Sarkar. Sarkar adviced that the exploiters will eventually fight against each other and destroy themselves. Then when Communism and Capitalism are gone, the world is in great need of a new alternative, Sarkar humbly expected PROUT to fill the vacuum. PROUT is based on spiritual values. When human beings will become commonly more spiritual, PROUT will be accepted widely. 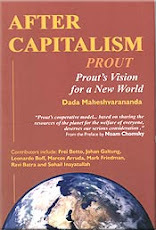 Proutists may not yet be ready for supervising the application of PROUT, as also Sarkar expected that his mission would diminish and struggle greatly for the sake of learning integrity, but after solving its own internal problems, it would expand rabidly ready to offer solutions for the global problems. Between 25 June 1975 to 21 March 1977 under controversial circumstances of political instability, Indira Gandhi’s prime ministership, declared a state of emergency — “the security of India” having been declared “threatened by internal disturbances”. The book by former KGB defector and his co-author; Indira Gandhi, was codenamed VANO by the KGB. By 1973, the KGB had 10 Indian newspapers on its payroll. During 1975, a total of 10.6 million roubles was spent in India designed to support Mrs Gandhi and undermine her political opponents. Didi Annapurna, if you want to post my artcle, link it here, thanks. See also Who Is Afraid of Prout?